The Foxwoods Theatre, which opened in 1997 as the Ford Center for the Performing Arts, was designed to adhere to the guidelines for development established by The New 42nd Street to "promote the preservation, restoration and reconstruction of the historically significant elements of each theater". 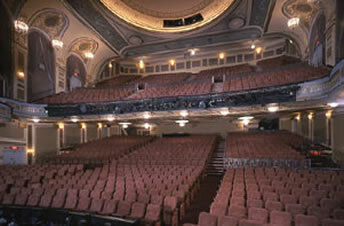 The challenge was to find a way to take two theaters that had many magnificent design elements but were sadly deficient in most all areas required for a Broadway musical house such as, seating capacity, size of stage, proscenium opening, handicapped access, dressing rooms, lobby areas, public toilets to name a few and create a theater that adhered to the guidelines. The product of collaboration between architects, engineers, craftsmen and designers, including Beyer Blinder Belle and the Roger Morgan Studio (now Sachs Morgan Studio), the design combines preservation with state of the art new construction to create the spirit and character of a great old theater with the needs of a modern one. The Foxwoods Theatre incorporates many elements from the Apollo and Lyric theaters. First, these include the Lyric's magnificent turn of the century 42nd and 43rd street facades which will be restored to their original grandeur. 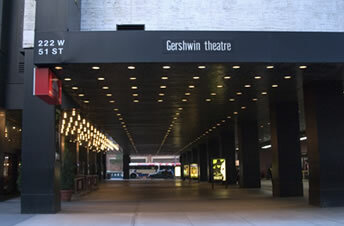 The George Gershwin Theatre was originally named the Uris. 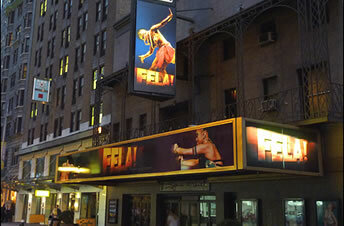 When it opened in 1972 it was the first large Broadway theatre to be built since the Earl Carroll in 1931. Occupying six stories of the new Uris Building on the site of the old Capitol movie palace at Broadway and Fifty-first Street, the huge theatre, with more than 1,900 seats, was designed by the late set designer Ralph Alswang. At the time of the theatre's opening, Mr. Alswang told PLAYBILL: "The Uris represents what I think is the total philosophy of modern musical comedy house --seating, sight lines, acoustics--the economy and aesthetics of this kind of theatre. I was given a completely free hand by the Uris people and by the Nederlanders and Gerard Oestreicher, who have a thirty-year lease on the house." 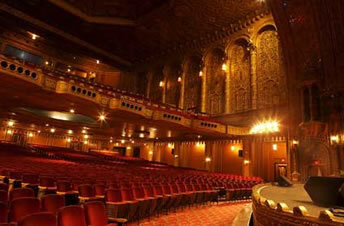 The designer stated that the whole theatre was done in a sensuous Art Nouveau style. The auditorium is on the second floor and is reached by escalators. "The bar, the plaster wall running 200 feet on a reverse curve and the Lalique lighting fixtures are all Art Nouveau shapes,"' Alswang stated. "Most people want to sit in the orchestra, so we have 1,280 seats downstairs and a very small balcony with 660 seats with projecting side sections to replace box seats. We have dark proscenium panels that serve as light towers and that are removable if the production demands it. The flexible stage floor can be taken apart like a Tinker Toy or be extended as a thrust stage. And for the first time in theatre history, there is a water curtain instead of an asbestos curtain in the event of an onstage fire." Another "first" for a legitimate theatre is a revolutionary automatic rigging system called Hydra-Float. Mr. Alswang estimated that the theatre's building cost would amount to about $12.5 million. In 1923 the New York Times reported that the new theatre being built at 249 West Forty-fifth Street by the Shuberts was the fiftieth playhouse that the theatrical brothers from Syracuse had built in the New York City area. Their latest theatre was the Imperial and it was obviously designed by Herbert J. Krapp as a musical comedy house, with a large seating capacity of 1,650 seats. The Imperial has been the Shuberts' pride since it opened, housing some of Broadway's most notable and successful musicals. The theatre's opening show was a hit musical called "Mary Jane McKane," with Mary Hay in the title role and a jaunty score by Vincent Youmans. It opened on Christmas night 1923 and it ran for 151 performances. In September 1924 this theatre housed one of its most celebrated shows. It was the Rudolf Friml operetta "Rose Marie," with a book by Otto Harbach and Oscar Hammerstein II. 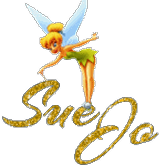 According to Gerald Bordman in American Musical Theatre, this musical was "not only the biggest hit of the season, but the biggest grosser of the decade. " Mary Ellis played Rose-Marie, a singer in a hotel located in the Canadian Rockies, and Dennis King was Jim Kenyon, the man she loved, who was unjustly accused of murder. The score included the lilting title song, the sonorous "Indian Love Call, " and "The Song of the Mounties. " Rose-Marie ran for 581 performances on Broadway and there were four road companies touring America at the same time. 1945 You won't walk alone going into the theater to see Rodgers' and Hammerstein's Carousel. Rouben Mamoulian directs and Agnes DeMille choreographs. John Raitt, Jan Clayton and Bambi Linn star. OK! 1949 This is some enchanted evening. Mary Martin, Ezio Pinza, Juanita Hall, Myron McCormick, William Tabbert, and many others, take the stage in the Oscar Hammerstein II-Joshua Logan-Richard Rodgers musical South Pacific. 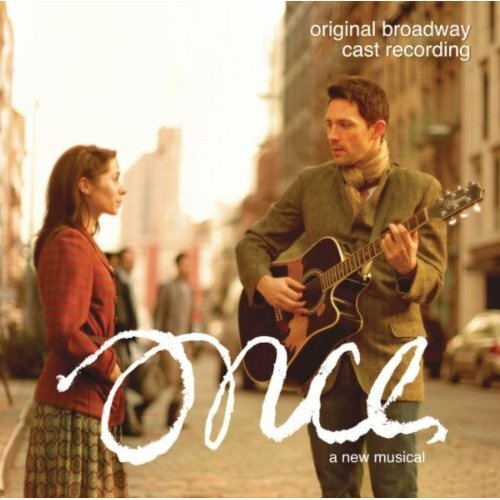 The show is Tony's choice for outstanding musical; Martin is outstanding musical actress; Pinza, outstanding musical actor, McCormack and Hall, outstanding supporting actor and supporting actress; Rodgers wins for outstanding score; Hammerstein and Logan for outstanding libretto; and Logan also wins for outstanding direction. 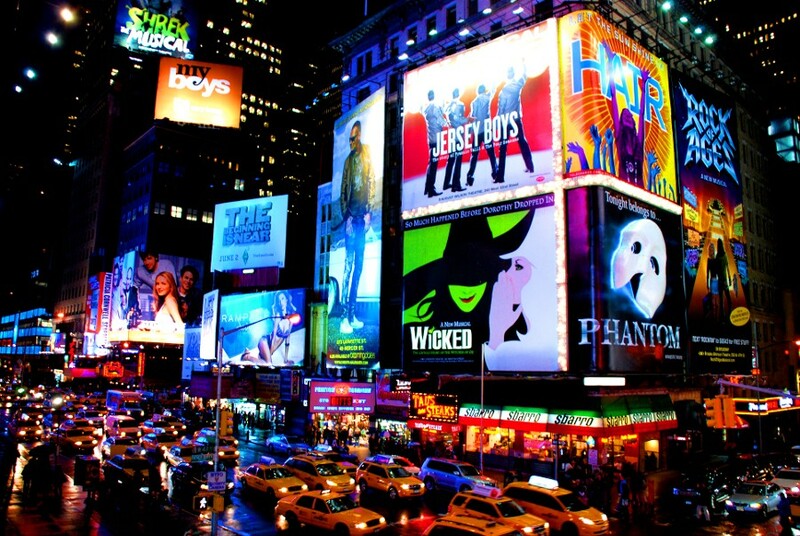 By the way, it plays for 1,925 performances! Andrew Lloyd Webber's smash musicalization of the Gaston Leroux novel won the 1988 Tony Award for Best Musical and is now the longest-running show in Broadway history. Andrew Lloyd Webber's romantic musical masterpiece is based on Gaston Leroux's gothic novel of life beneath the stage of the Paris Opera House where The Phantom reigns. 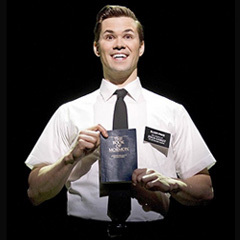 Hideously deformed, he passes his time terrorizing the members of the Opera until he falls in love with Christine Daae, a chorus girl who he teaches to sing the 'Music of the Night'. 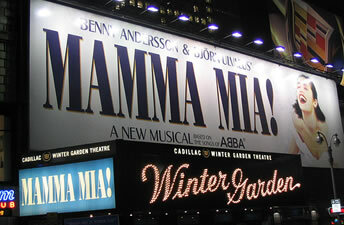 Andrew Lloyd Webber's masterpiece combines a quality of music genius with a strength of storyline and use of breathtaking theatrical effects that have enthralled audiences across generations. 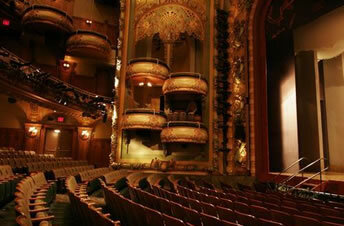 The Vivian Beaumont Theater opened to the public on October 21, 1965. Designed by the renowned architect Eero Saarinen and named for Vivian Beaumont Allen, a prominent New York philanthropist, the Beaumont was originally the home of the now-defunct Repertory Theater of Lincoln Center, which closed in 1973 after nine seasons (two of which were presented in a temporary theater erected in Washington Square Park). From 1973 to 1977, Joseph Papp's New York Shakespeare Festival was in residence at the Beaumont. 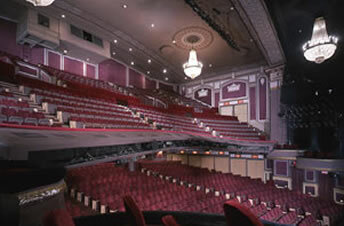 From 1978 through 1985, the Beaumont was mostly rented to outside producers or was not used at all; a new resident company was formed in 1979, but it only presented one Beaumont season in 1980-81. 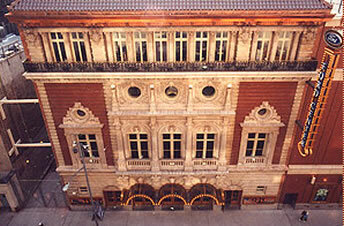 In 1985, the building's current management -- Lincoln Center Theater -- was established. Former New York Mayor John V. Lindsay assembled a new board of directors and signed Gregory Mosher as Director and Bernard Gersten as Executive Producer. In 1991, Linda LeRoy Janklow and André Bishop succeeded Messrs Lindsay and Mosher as Chairman and Artistic Director. 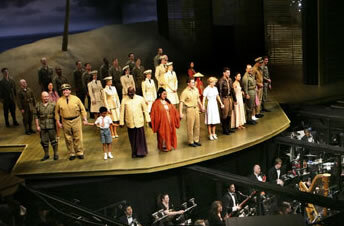 Lincoln Center Theater has not only outlasted all the prior managements combined, but it has become America's largest not-for-profit theater, producing a year-round program of plays and musicals at the Beaumont and at various other theaters around New York City. Music is not available for sale or download.